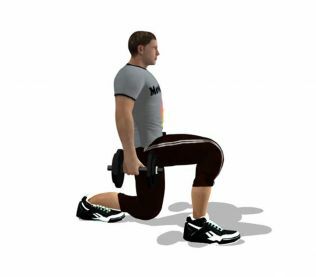 This exercise stimulates your lower body and involves the gluteus to a varying degree depending on the length of the step. 2. Now, take a step forward keeping your torso as straight as possible. 3. Bend the forward knee to form a slightly narrow angle or a right angle. 4. Then, push with the front leg to return to the starting position.